Ships tomorrow if you order in the next 24 hours 20 minutes. 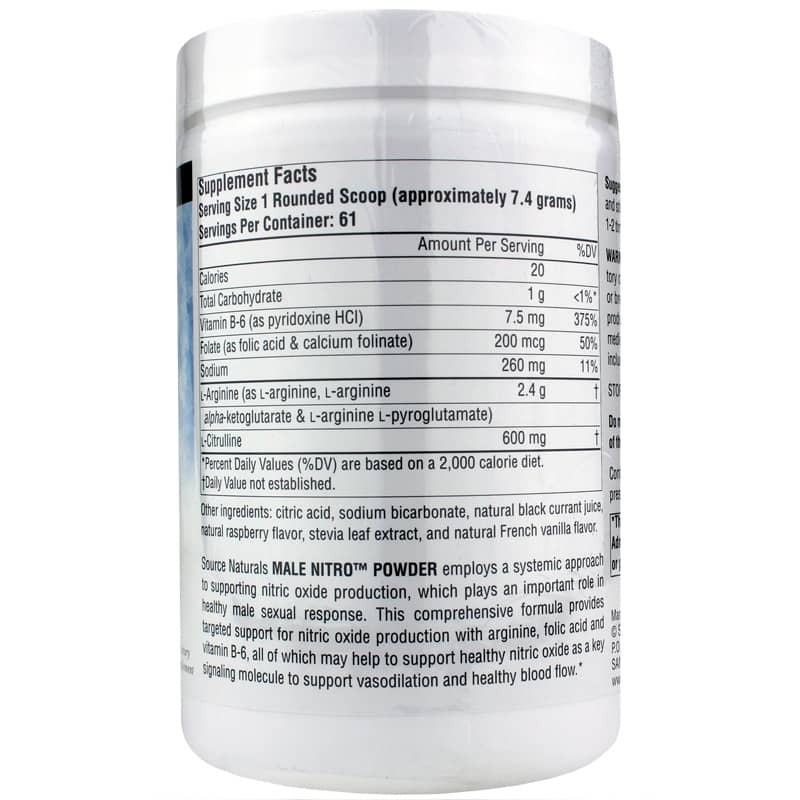 Male Nitro from Source Naturals is a dietary supplement that works to support a healthy male sexual response by supporting the production of nitric oxide. It is formulated with l-argenine, which is an amino acid that supports protein synthesis, and also includes folic acid and B-6 to promote healthy blood flow. 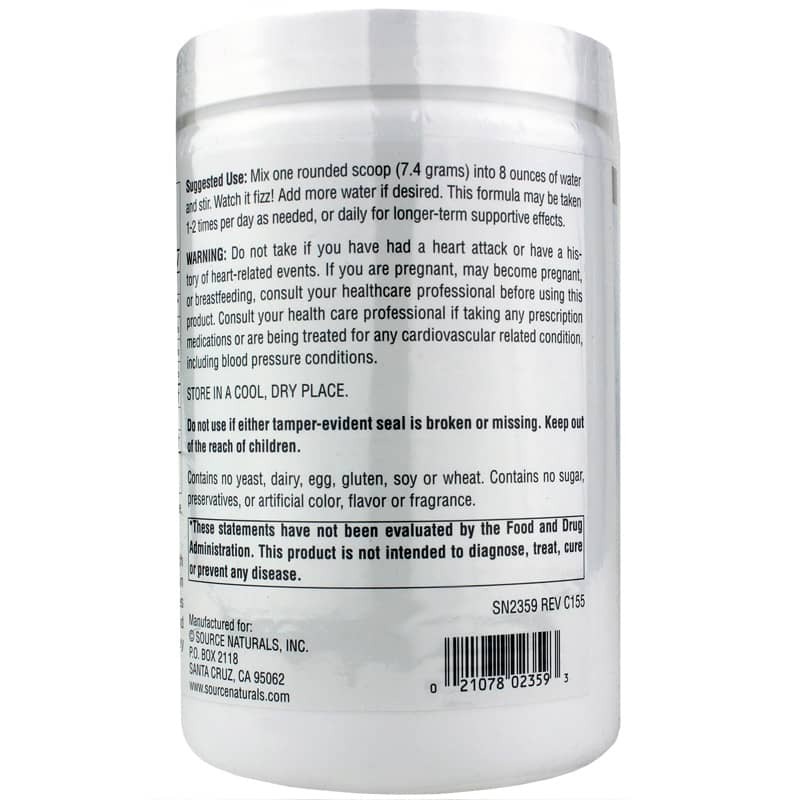 This powder also uses natural black currant juice, natural raspberry flavor, stevia leaf, and natural French vanilla flavor for taste, and it can be dissolved easily in water or juice. 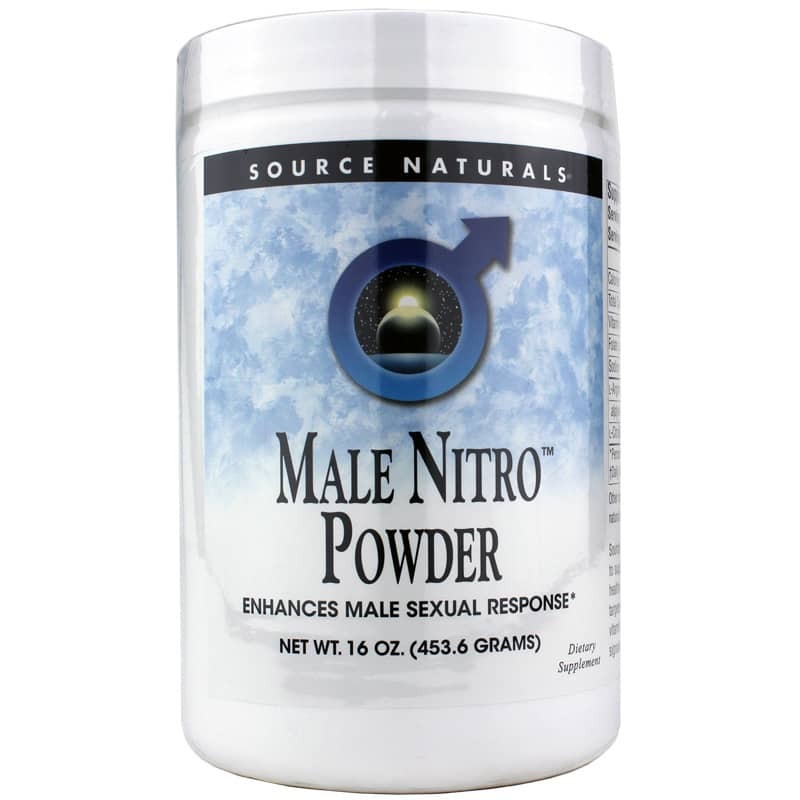 If you need extra nitric oxide support, consider a powder supplement like Male Nitro from Source Naturals. Other Ingredients: citric acid, sodium bicarbonate, natural black currant juice, natural raspberry flavor, stevia leaf extract, and natural French vanilla flavor. Contains NO: yeast, dairy, egg, gluten, soy or wheat. Contains no sugar, preservatives, or artificial color, flavor or fragrance. Adults: Mix one rounded scoop (7.4 grams) into 8 ounces of water and stir. Watch it fizz! Add more water if desired. This formula may be taken 1-2 times per day as needed, or daily for longer-term supportive effects. Do not take if you have had a heart attack or have a history of heart-related events. If you are pregnant, may become pregnant, or are breastfeeding, consult your healthcare professional before using this product. Consult your health care professional if taking any prescription medications or are being treated for any cardiovascular related condition, including blood pressure conditions. Do not use if either tamper-evident seal is broken or missing. Keep out of the reach of children.